How can cities redeploy their economic development resources to focus on building a more inclusive economy grounded in broad, local ownership? How can policymakers get strategies like worker cooperative development the support and resources needed to reach truly meaningful scale? 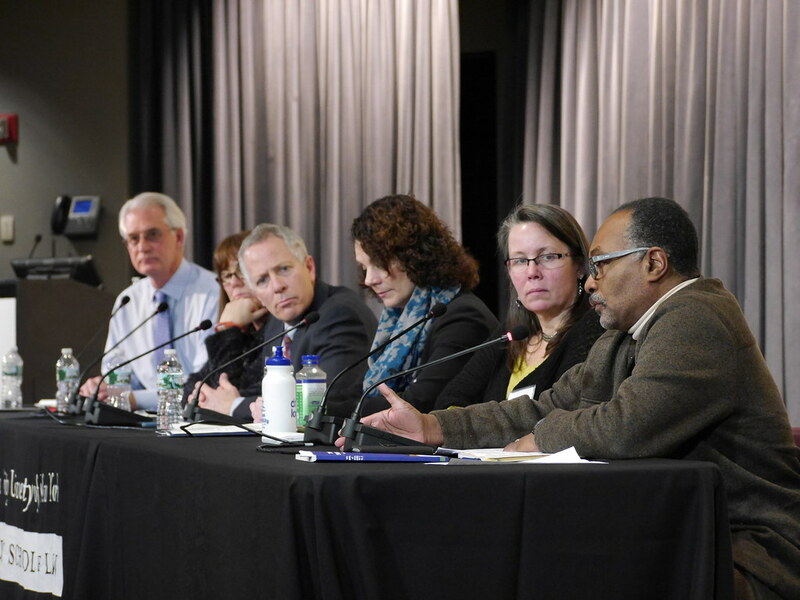 How can collaborations between communities, local government, and key institutional stakeholders build pathways to economic equity for the people left behind by the traditional trickle-down economic playbook? 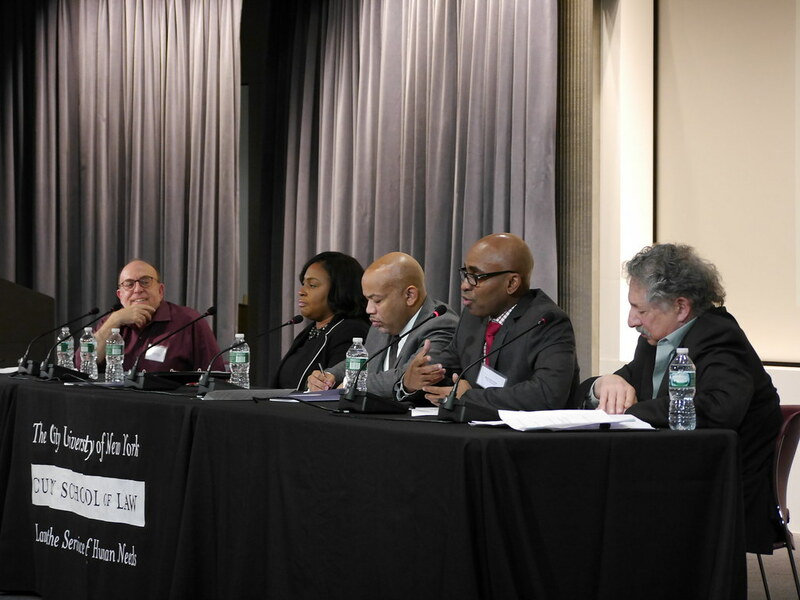 These were the question on the agenda during the "Cities Building Community Wealth" gathering convened by The Democracy Collaborative on January 29th, 2016, at the CUNY School of Law in New York City. 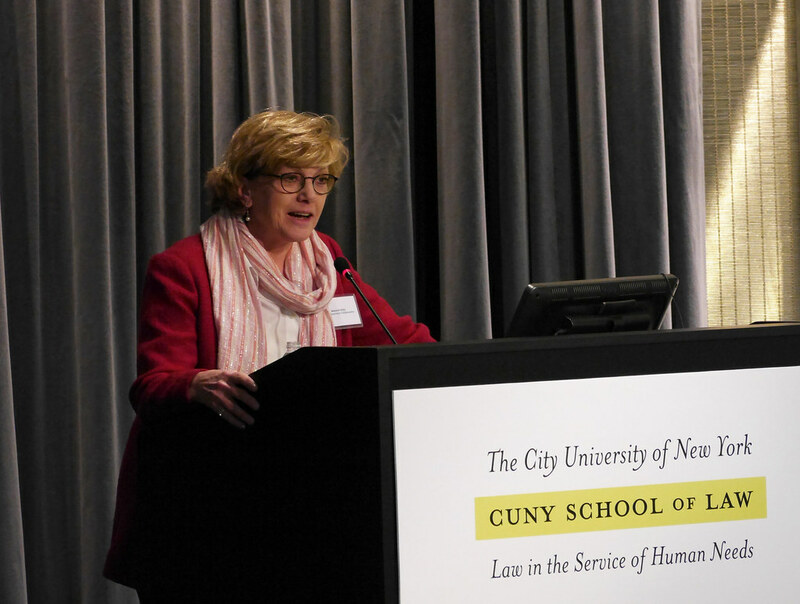 Hosted by CUNY Law's Community and Economic Development Clinic—a major partner in the coalition that has doubled the amount of worker cooperatives in NYC over the past year—and supported by the Surdna Foundation, the half-day event brought together mayors and heads of city economic development departments together with key allies and community advocates for a discussion of the emerging policy frameworks for creating more inclusive cities. In her welcome, Carmen Huertas-Noble explained how the finanicial support of the New York City Council is helping the city's community-based coalition for worker cooperative development make a growing impact in low-income neighborhoods, noting that this innovative policy—one of the first commitments by an American city to dedicate budget resources to developing the infrastructure and ecosystem around democratic business creation and conversion—has also helped generate interest and excitement across the country. Framing the event, Surdna Foundation President Phillip Henderson emphasized the key role of collaboration in effective efforts to building community wealth, explaining that "any success in [creating] economic opportunity requires elected officials, nonprofit organizations, businesses, and other actors working in concert to make that change." In particular, he highlighted the key role that large hospitals and universities can play as economic anchor institutions, able to direct substantial resources to the communities that have been traditionally left out of the economy. For Henderson, a committment to equity and inclusion is critical, as is the willingingness to think differently about ownership, and the ways in which it can be broadened and democratized. In her opening remarks, the Democracy Collaborative's Marjorie Kelly explained how these kind of inclusive, place-based strategies for a more equitable economy are not just emerging in cities across the country, but indeed are beginning to consolidate themselves into a vision of a new paradigm for economic development and a growing movement. 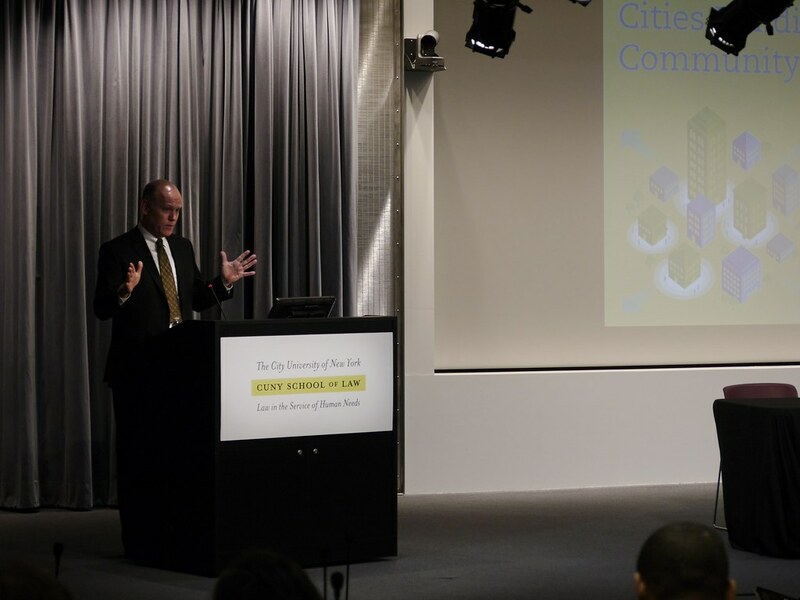 Referring to her 2015 report (with Sarah McKinley), Cities Building Community Wealth, which provided the inspiration to convene the event, Kelly emphasized the common drivers underlying these new approaches. Mayor Lovely Warren of Rochester, New York, detailed how her city is responding with a program to tackle the challenges of deindustrialization, poverty, and disinvestment with a comprehensive, place-based, and collaborative program of inclusive development, including a new initiative to kickstart the creation of worker cooperatives building off of the procurement opportunities presented by large area anchor institutions. (The Democracy Collaborative has been engaged by the City of Rochester to help develop this initiative.) Speaker Carl Heastie of the New York State Assembly spoke to the tremendous success with New York City's pilot effort to support worker cooperative development, and pledged his support for expanded, state-level funding for such efforts. While he underscored the need to robustly fund public education, he insisted that education alone would not solve the problems facing New York's low-income communities—comprehensive efforts to attack poverty and build a more inclusive economy are also needed to truly create opportunity in disinvested neighborhoods. This focus on a economic development strategy that includes the excluded was echoed by Newark Deputy Mayor Baye Adofo-Wilson, who spoke about the transformations and reorientations taking place under the leadership of the city's new Mayor, Ras Baraka, whose campaign emphasized the need for bottom-up reconstruction of economic opportunity in the city's hardest hit neighborhoods. 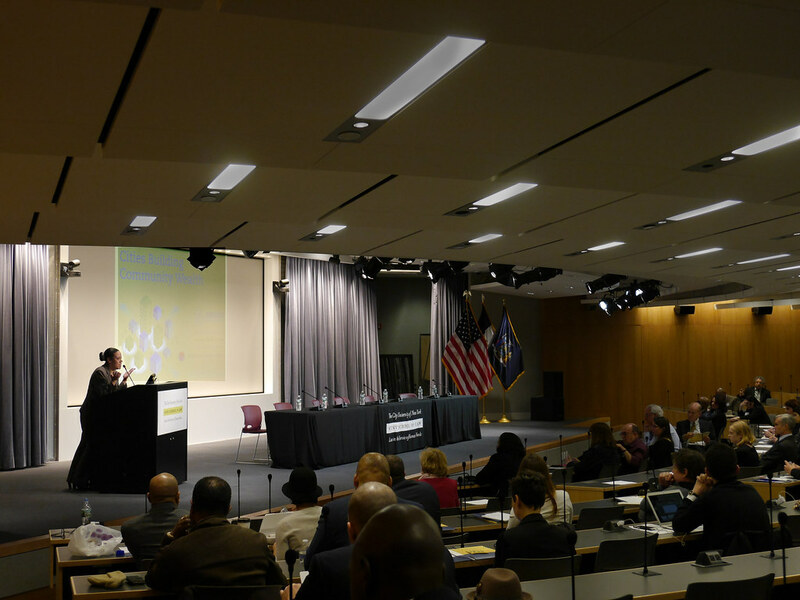 Adofo-Wilson emphasized the strategic role that large nonprofit anchor institutions can and should play in this process, reminding the audience that since these nonprofit universities & hospitals do not pay many taxes, they have an obligation to the public to be at the table as a part of coordinated and collaborative efforts to create good local jobs. Mayor Paul Soglin of Madison, Wisconsin—where a $3 million committment to inclusive worker cooperative development has been made—underscored the importance of an alternative framework that reorients public resources towards meeting key human needs, not towards the requirements of private wealth accumulation. This, for Soglin, requires a real break with some of the received wisdom of traditional economic development—emphatically instructing the audience "don't chase smokestacks!" He also reminded the gathering that such a reorientation can't just live within top executive leadership—without an economic development staff that's fully aligned with and invested in the community wealth building mission, no real progress will be possible. In our second panel, moderated by Democracy Collaborative President Ted Howard, the vision outlined by the first panel was made more concrete with stories and reflections from the field, drawing on the experiences of practitioners, allies, and advocates who have been working at the front lines of the effort to build more collaborative and inclusive urban economies. Cleveland's Director of Economic Development, Tracey Nichols, shared how she had become disillusioned by traditional subsidy-driven approaches over the course of her career—the jobs she wanted to help create for her community would often seem to disappear as companies moved away from the city, even after taking significant public money to support their operations. For Nichols, approaches like the Evergreen Cooperatives, which focus on creating anchored local wealth, represent a way forward that economic development officials should be helping to support. Patrick Horvath of the Denver Foundation outlined the numerous collaborative initiatives the Foundation is supporting, using place-based philanthropic capital to develop a local Community Wealth Building Network, build anchor institution strategies for inclusive economic development, catalyze a cooperative food system for immigrant families, and promote worker ownership in the region. Elena Gaarder of Nexus Community Partners in St. Paul, Minnesota, detailed how their organization functions as an intermediary to build the capacity of marginalized communities to take part in the conversation around building a more inclusive economy. Rebecca Kemble—a worker-owner at Union Cab of Madison, the President of the US Federation of Worker Cooperatives, and now an elected member of the City's Common Council—detailed the organizing behind the city's committment to worker cooperative development, emphasizing the key role a racial equity lens was playing in helping craft their strategies to create democratic workplaces. And Roger Green, Director of the DuBois Bunche Center for Public Policy at Medgar Evers College in New York City brought together numerous themes of the previous discussions by telling the story of the ongoing fight to save Interfaith Medical Center in Brooklyn, slated for closure, but now being reenvisioned as the cooperative anchor of the neighborhood economy by community residents in partnership with worker cooperative advocates like Mondragon USA as well as SEIU Local 1199 and the New York State Nurses' Association. Finally, after much excellent discussion and debate with an engaged and enthusiastic audience, we closed the day with an excellent reception provided by Emigré Gourmet, a cooperative catering company incubated by Brooklyn's Center for Family Life—giving participants in the event a chance to see firsthand how community wealth building strategies are creating good jobs for the residents of New York's low-income communities. We're looking forward to continuing to build on the momentum of the event to highlight more stories of how cities are inventing a more equitable and inclusive future; below, you'll find some more pictures of the gathering as well as a recap of audience conversation on social media.